Disclosure: The post is sponsored by The Blueprint Social and Plaid Crafts. Opinions and project ideas are my own. 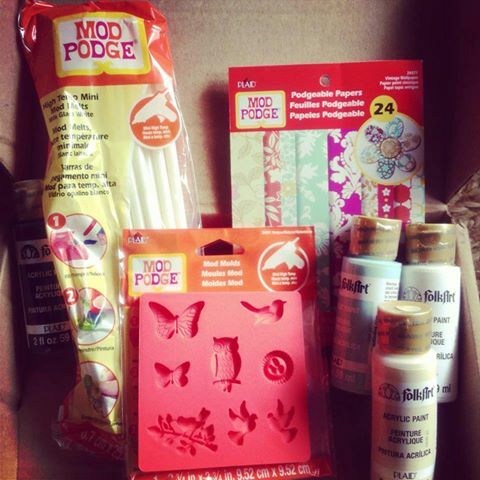 A few weeks ago I got to try out a new product from Mod Podge called "Mod Melts". I used it to embellish this super sweet flower. What could be better? 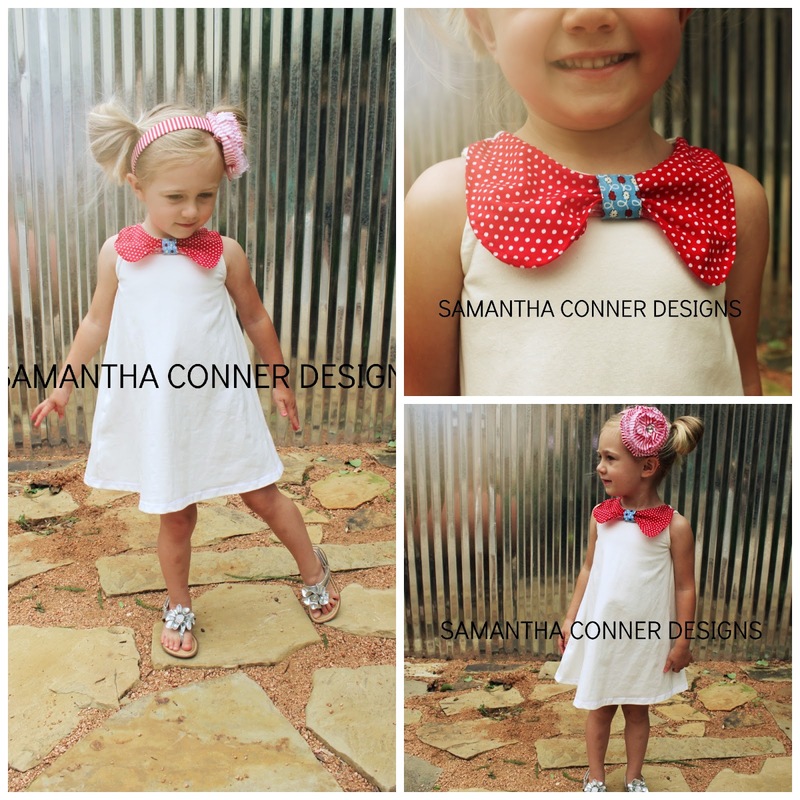 Hair accessories and my very favorite crafting tool-- the glue gun! 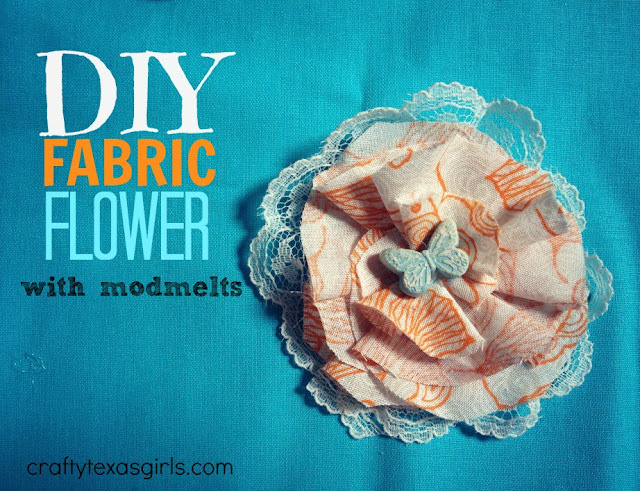 Keep reading to see how you can make your own "Mod Melts" embellished fabric flowers too. Mod Melts and Molds are super easy to use. Just put the melts in your hot glue gun and fill the mold. The mold I was given to try had sweet butterflies, birds, owls, and nests. There are other mold options, you can find them exclusively at Michaels stores by late June. I think the shapes of my molds would be perfect for making presents and crafts for weddings, baby showers, or girly gifts. My daughters actually helped me make the Mod Melts birds and butterflies. 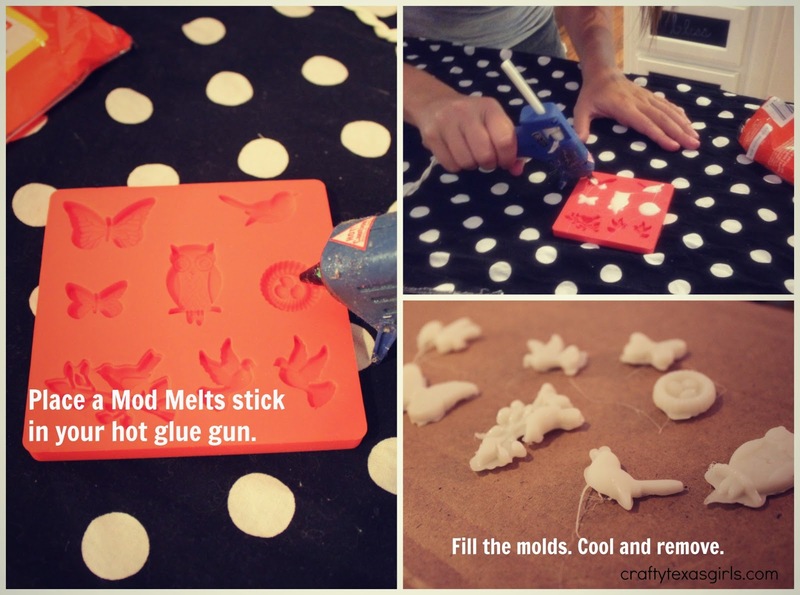 I filled the Mod Molds using the Mod Melts stick in my hot glue gun. After a few minutes, they cooled and we popped them out. 1. 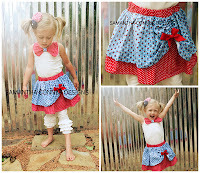 Cut your fabric into circles. 2. 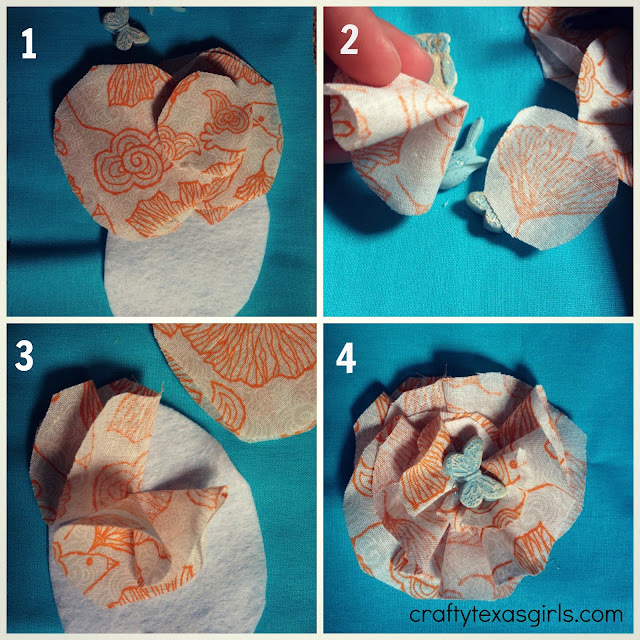 Fold the circles into a 'fortune cookie shape. 3. Glue them to a piece of felt. 4. Glue on the Mod Melts butterfly. Embellish with lace, then add a clip or headband to the back. Either way- it is so cute! 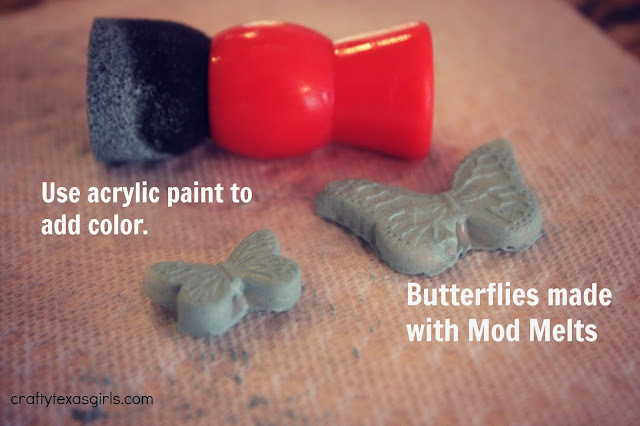 What would you make with Mod Melts and Mod Molds? *Visit my shop, Samantha Conner Designs- fabulous clothing and accessories for the girl who has everything! It is very cute! ! What a clever and adorable idea! Love the way it turned out! 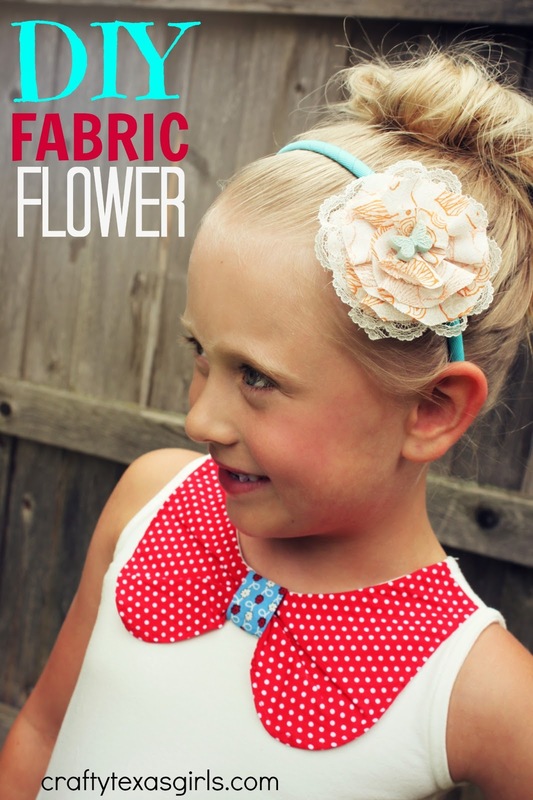 I am so into making fabric flowers and headbands for my nieces. I have got to get my hands on those Mod Melts!! Great idea, thanks for sharing!